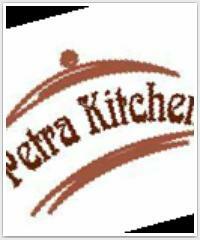 Now open in Petra, The Petra Kitchen is a delightful way to round out your Jordan travel experiences. Like any home kitchen, The Petra Kitchen is a relaxed, informal atmosphere where you’ll gather to prepare an evening meal, working alongside local women under the supervision of our chef. Each evening meal includes soup, cold and hot mezza and salads, and a main course—all typical Jordanian dishes. You will have get an inside glimpse of the secrets behind the famous regional cuisine of the Levant.